The Oracle Autonomous Database has generated a lot of speculation about its relevance to the future of Oracle DBAs, cybersecurity concerns, and how to choose the most suitable deployment options. 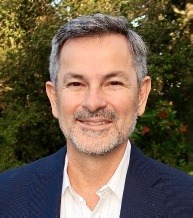 Recently, Juan Loaiza, EVP, Systems Technology, Oracle Database, reflected on the autonomous database, Oracle Exadata, and customer preferences. What market need does the Oracle Autonomous Database address? Juan Loaiza: Traditionally, creating a database management system required experts to custom build and manually maintain a complex hardware and software stack. This required organizations to be both the architects and maintainer of databases if they wanted to manage their data. Oracle Autonomous Database revolutionizes data management by using machine learning to provide a self-driving, self-securing, and self-repairing database service with cloud economies of scale and elasticity. JL: The service enables customers to become just users, who can innovate faster, as they can instantly create new autonomous databases and easily convert their existing databases. The complete automation of database and infrastructure operations cuts administrative costs, and allows database administrators to focus on getting more value from data. The automatic application of the latest security updates, with no downtime eliminates cyber-attack vulnerabilities, while the use of Database Vault prevents administrators from snooping on user data. Finally the Autonomous Database Protection from all types of failures including system failures, regional outages, and user errors delivers 99.995% availability, or less than 2.5 minutes of downtime a month, including maintenance. Where is it resonating most strongly with customers? JL: Customers are delighted with the agility, ease of use, and performance they get with the Oracle Autonomous Database. It enables them to instantly create and effortlessly use databases that require no manual tuning. It is also easy for customers to adopt because it uses the same proven Oracle Database as on-premises, with the same functionality and interfaces they have used for years. They trust the Autonomous Database to support mission-critical workloads because it is based on highly sophisticated Oracle Database technologies that are highly proven at the largest enterprises in the world, including high-performance Exadata infrastructure, Real Application Clusters for transparent scale-out and fault tolerance, Active Data Guard disaster recovery, and Online Data Evolution. Customers can choose to deploy the Oracle Autonomous Database on dedicated Exadata cloud infrastructure for workload isolation and they can also leverage Oracle Autonomous Database Cloud at Customer if they choose not to move to a public cloud. Which deployment options should customers consider? JL: As the world’s first self-driving database that manages, tunes, and patches itself, Oracle Autonomous Database addresses our customers’ biggest pain points—the need to dramatically improve data security, be more efficient in the face of budget constraints, and quickly drive innovation that creates a competitive advantage. JL: For customers who are looking to deploy just a single transaction processing or analytics database, the serverless deployment of the Autonomous Database is the perfect solution. It allows customers to have a database up and running in just minutes and offers the lowest minimum commitment in terms of time and cost as it’s billed on an hourly basis. Online elasticity of both compute and storage allows customers to instantly scale the database based on their workload needs, enabling true pay-per-use. It also offers an excellent development environment as developers can instantly provision themselves an enterprise level database that requires no manual tuning as the continuous workload optimization will adapt to changes in the workload. JL: For customers looking for the highest isolation or a consolidation platform for mission-critical databases in the public cloud, the dedicated deployment option of the autonomous database is the right choice. Each customer is assigned a dedicated Exadata System within their chosen region and virtual cloud network. This provides customers with complete isolation from other tenants and greater control over software versions and patching schedules. It also allows customers to have greater control over the density of databases on the system, enabling them to over or under provision, as they desire. What about customers who can’t move to the cloud? JL: For customers who cannot move to the public cloud whether it’s due to regulations, corporate policies, or network latency, we will offer the Autonomous Database on Exadata Cloud at Customer. Exadata Cloud at Customer uses the same Exadata hardware, software, interfaces, and APIs as public cloud but managed by Oracle inside the customer’s own data center. It also uses the same pay-per-use subscription model. It delivers all of the performance, simplicity, agility, elasticity and reliability of the Autonomous Database securely on premises behind the customers firewall. The Oracle Autonomous Database is available as a public cloud service today but regardless of the deployment option, customers will still achieve the same proven performance and reliability. Are customers going to use combinations or rely most heavily on one deployment method? JL: Customers are free to use any combination of deployment options that works best for them. For example, new application development and testing might use the Serverless Exadata Cloud Infrastructure, while production is deployed on the Dedicated Exadata Cloud Infrastructure or perhaps Exadata Cloud at Customer. What are some of the features that are most appreciated, and why? JL: The ability to provision an enterprise level database in minutes dramatically reduces the lead time of new projects allowing organizations to innovate more and to get new applications or modules to market much faster. Today 72% of IT budgets are spent on generic maintenance tasks. Autonomous patching and backup offered by the autonomous database greatly reduces this burden, allowing customers to focus on their business and not on the maintenance of backend technology. Integrated machine learning algorithms in the autonomous database have also gained appreciation due to the seamless support allowing customers to use real-time predictive analytics to help them improve their business. Finally, there’s the ability to automatically adapt to changing workloads by creating indexes to optimize performance. This reduces the need to have performance engineers on staff for every system. Given the security concerns facing customers and the onerous fines posed by new regulations, are customers more or less concerned with cloud deployments? JL: Naturally, customers are concerned about IT security and data privacy when considering moving to the public cloud. Company reputation, customer trust, and jobs are on the line. The average alerts per week are roughly 17,000. And only 19% of these alerts are reliable, with only 4% that are actually investigated. It is critical for companies to be able to separate the signal from all the noise—to understand and respond to the real threats. There simply isn’t enough cybersecurity talent to handle the problem. According to Cybersecurity Ventures, there will be 3.5 million open cybersecurity jobs by 2021. This is why autonomous technologies are a far less risky prospect as they are self-securing and work to automatically apply all of the latest security updates with practically no downtime to prevent cyberattacks and data theft. Tools like Oracle Database Vault can also be used to prevent administrators from snooping on user data adding an extra layer of protection not offered on other database cloud services. It also protects from all known types of failures including system failures, regional outages, and user errors. Looking to the future, what are some of the features customers are requesting that are now coming into focus on the roadmap? JL: Autonomous workload optimization has really resonated with customers as it’s like having a performance engineer monitoring your system 24 hours a day, 365 days a year. Customers have also requested that we expand the ability of the workload optimization to automate partitioning of datasets and creation of additional summaries such as materialized views.